Besides announcing the ground-breaking 144Hz 4K gaming monitor with the eye tracking technology, Acer also has a treat for the professional designers in the works. The Acer ProDesigner PE320QK is a monitor aimed at professional designers of all sorts and features the exclusive Acer HDR Xpert technology for enhanced brightness, contrast, and color gamut. Although the specifications don’t qualify it for the HDR10 format, the Acer PE320QK will offer an amazing and accurate image quality. On a related note, Acer has already released another ProDesigner series monitor, the Acer ProDesigner BM320. It features slightly lower specs but also a wide color gamut which covers 90% of the DCI-P3 color space as well as a true 10-bit color depth IPS panel. The Acer BM320 is already available for $1,300. Both monitors are factory-calibrated to Delta E < 1 for the out of the box accurate and consistent colors. The Acer HDR Xpert technology shouldn’t be confused with the HDR10 format compatibility as in order for a monitor to achieve true HDR (High Dynamic Range) there are certain requirements the monitor must meet. 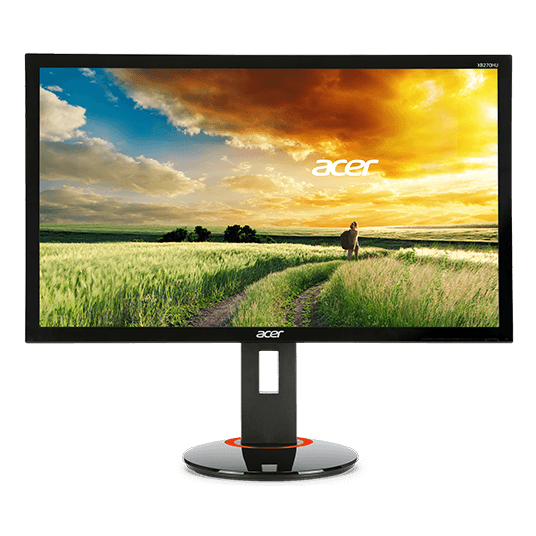 Although the Acer ProDesigner PE320QK PC monitor features a 10-bit IPS panel with 95% of the DCI-P3 color gamut and a high contrast ratio, its peak brightness is limited to 550 nits, as opposed to the 1,000 nits required for HDR10. Regardless of the lack of HDR support, the image quality and color accuracy are more than sufficient for the color-critical work. The 4K UHD resolution on a 31.5-inch screen provides a rich pixel density of roughly 140 pixels per inch which results in expressive and crystal-clear details adequate for the professional work. Moreover, the Acer ProDesigner PE320QK features the Acer VisionCare technology which consists of a low blue light filter and a flicker-free screen that allow you to work for hours without straining your eyes. 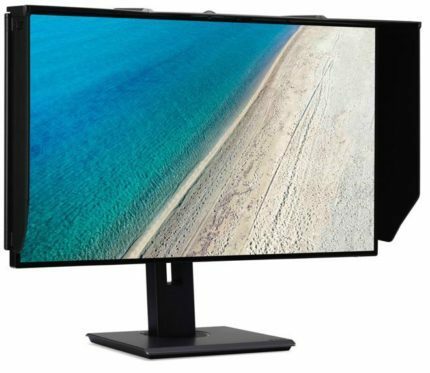 The Acer ProDesigner PE320QK IPS display is factory-calibrated to delta E < 1 color accuracy and covers 130% of the sRGB and 95% of the DCI-P3 color spaces. The Acer HDR Xpert technology promises improved brightness which will make the contrast ratio more apparent and colors more vivid. 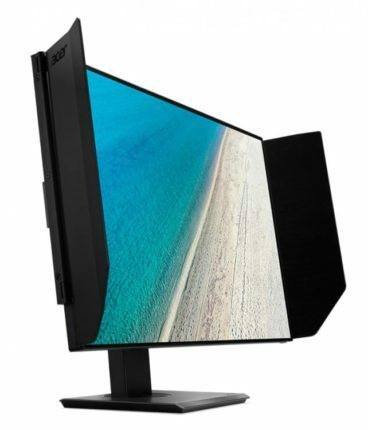 Naturally, the IPS panel of the monitor also implies the flawless 178-degree viewing angles which allow you to enjoy a perfect image quality no matter the angle or distance you’re looking at the screen. The Acer ProDesigner PE320QK is by no means intended as a gaming monitor, although the video games would like fascinating. With the quick 5ms response time, you could even enjoy some fast-paced FPS games with next-to-none ghosting of the fast moving objects. However, in competitive gaming, you would have a huge disadvantage over players with higher refresh rate gaming monitors and adaptive-sync technologies. The Acer ProDesigner PE320QK monitor features the ZeroFrame design with a slim profile and narrow bezels that will make the picture pop out. It also comes with the anti-glare shield which eliminates all nuisances and allows the designers to focus on their work. The ergonomic functionalities are unknown at the moment. The connector ports include two HDMI 2.0, a DisplayPort 1.2, and the USB type C port which can simultaneously transfer data, audio/video signal, and charge your compatible device up to 85W. There are three addition USB 3.1 ports for the peripherals as well as 2x2W built-in speakers. The Acer ProDesigner PE320QK release date is unknown at the moment (May 2017). The other ProDesigner series model, the Acer ProDesigner BM320 4K monitor, is already available for $1,300. Its peak brightness is limited to 350 nits, but it is also factory calibrated to Delta E < 1 and covers Adobe RGB, sRGB, Rec709, and 90% of the DCI-P3 color gamut. Based on that information, the Acer ProDesigner PE320QK price will be probably somewhere along those lines, although a bit more expensive. This year has already offered us some exciting new technology gadgets while we’re still waiting for the even more exciting monitors announced earlier this year. 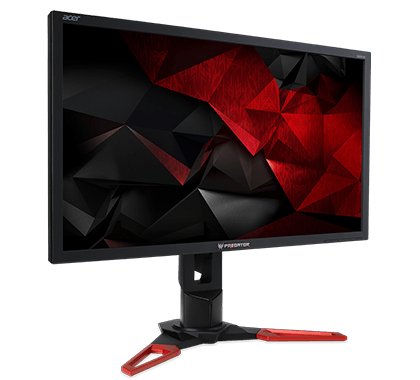 Acer has managed to deliver cutting edge displays for both gaming and professional worlds, such as the revolutionary 144Hz 4K HDR gaming monitor that we’re eagerly anticipating and the Acer ProDesigner PE320QK USB-C display. The Acer ProDesigner series monitors provide the high-end professional designers of all kinds with the adequate tools for various content creation whilst offering a sleek design with a beautiful slim profile. 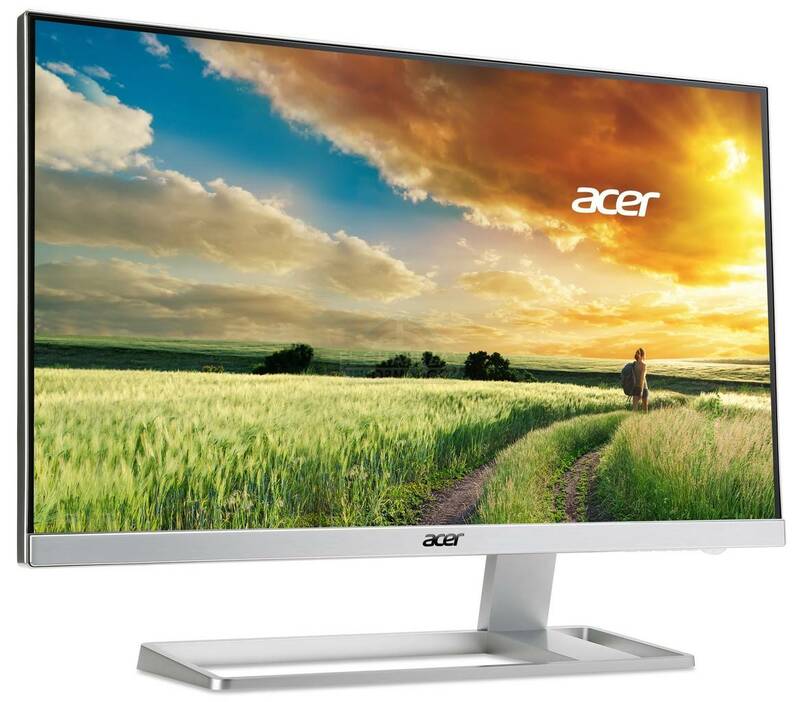 The professionals with lower demands for monitor specifications can still opt for the Acer ProDesigner BM320 display which will be the cheaper alternative with a bit less wide color gamut and lesser brightness. The Acer ProDesigner PE320QK is aimed at the professional designers, hence the series name, and offers a 10-bit color depth panel that covers 95% of the DCI-P3 color gamut. Moreover, it features a slim profile design with narrow bezels and removable anti-glare shield. It also features the USB type C port for simultaneous content streaming, data transfer, and charging.